Cable Bay Walk and Cafe near Nelson A good incentive for doing the Cable Bay walk is knowing there’s a cute little cafe nearby. The Cable Bay Café is very inviting with colourful cushions and white tables. Today, we were keen to try it. I have to admit, sometimes we have passed over these little rural cafes, thinking that we’ll get a better coffee ‘in town’? And how many times have we been proved wrong! Shouldn’t we support these little Kiwi businesses? After all, they are the heart of their community. 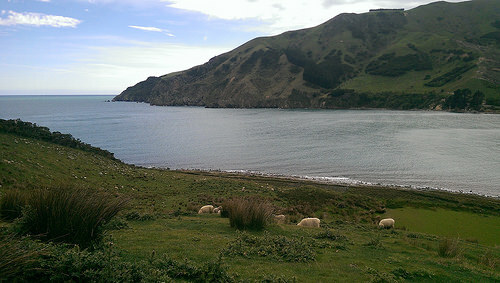 We probably could have chosen a better day to do the Cable Bay walk. It was drizzling when we set off – and it probably wasn’t a good day for Pam to learn how to drive our new 4-WD. 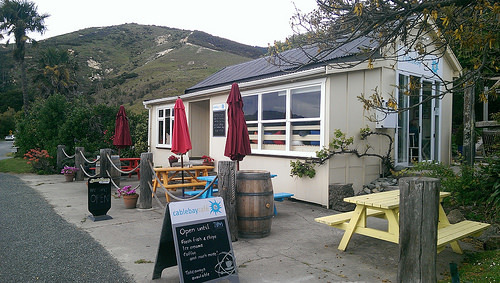 Handy hint: the Cable Bay Walk and Cafe near Nelson is accessed by a gravel and winding road. 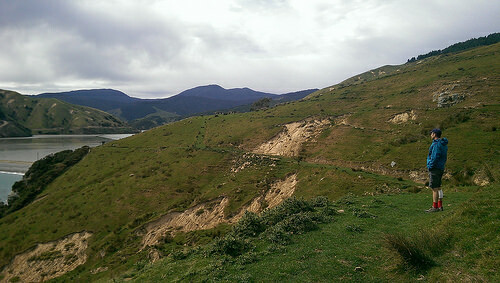 Don’t take the Glen turnoff to Cable Bay, but the next one 21km north of Nelson. Remember to stay strictly on the right of the road as it is quite narrow. Even though the clouds are dense and low, the scenery is beautiful and definitely lends a feeling of tranquility. On the Cable Bay walk you’ll get plenty of moments these along the way. Watch out for the sheep poo and be sure to use the ‘kissing gates’ (no romance intended). 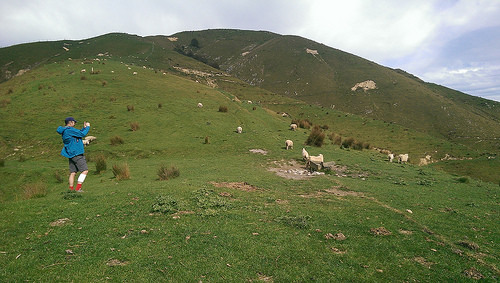 We all need to respect private farmland where access is restricted. The complete walk takes about 3½ hours one way. Do wear sturdy shoes as it’s quite steep in parts. Happy travelling on the Cable Bay Walk and Cafe near Nelson. wow it looks lovely. Nice to be rewarded at the end of a walk – or even better at the start and at the end with a nice cafe too! This area, although visited by quite a few people in the summer, still has a remote feel about it. On our doorstep and never been – must add to the “To Do” list. Good to know there’s a decent coffee waiting too. Yes, New Zealand may be small, but these amazing crooks and crannies remain undiscovered by us as well and of course having access to caffeine, is always the icing on the cake!